Solartis electronically consumes the ISO Electronic Rating Content into our microservices platform within 24 hours of new releases. Solartis has cracked the code for automating ISO Electronic Rating Content into your insurance products. We automatically update our platform with the latest updates within one day, so that you can focus on the carrier exceptions unique to you — which you can easily manage in our Self-service Toolkit. Solartis supports all Commercial and Personal P&C Lines of Business. 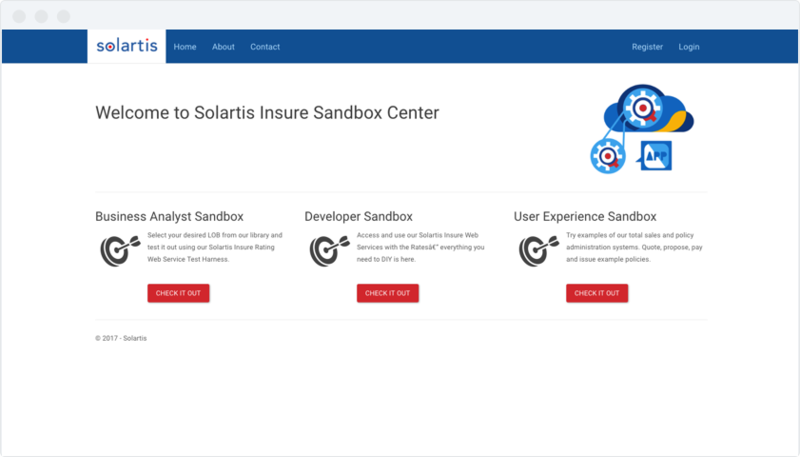 For all products, Solartis Insure enables product versioning, product cloning, and the reusability of component coverage configurations so you can launch new P&C products in record time. Newly configured products are provided in our Sandbox early on, so you can test and sign off on them. This, in turn, shortens the implementation timeline and reduces your application testing activities. Get access to Solartis’ modern policy administration system to learn how our microservices architecture can impact your business.